Further proof that bats don’t read books. On Friday Bob did a roost visit to a house nestled in woodland. The people who had lived their chose it because of its proximity to the natural world. Only some of the natural world had moved in and they were getting unpleasant smells in the house. Soprano pipistrelles are known to have smelly roosts and to favour places near woodland and close to a water source, so these were the immediate suspects. But then they said a workman had reported that the bats were roosting in the eaves of the house and so Bob reconsidered. 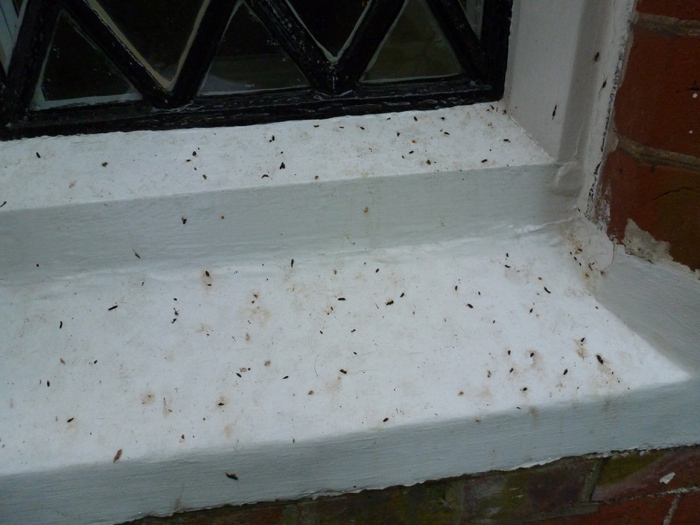 Soprano pips usually live in wall cavities or under tiles, it’s brown long eareds which hang up in roof spaces. 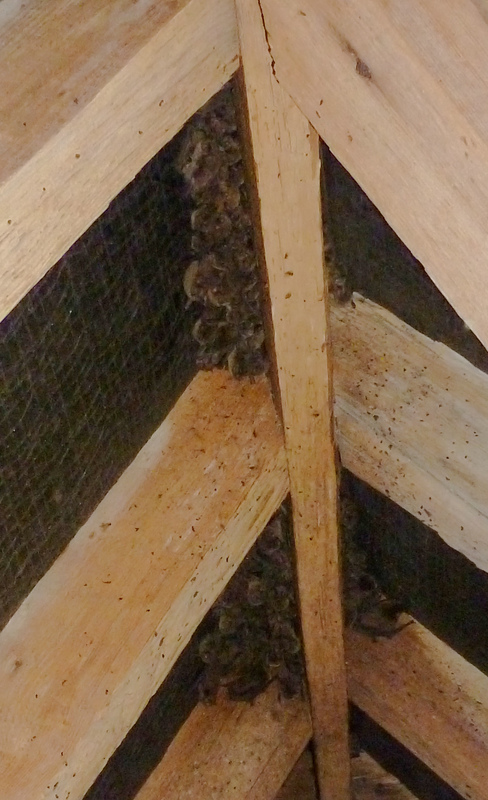 Once he entered the loft space he had to go back to his first thought, because there nestling in the apex were at least fifty soprano pipistrelle bats – and there may well have been others elsewhere. He managed to catch one bat which was a juvenile male, so as this was a very definite maternity roost he made his excuses and left.- pausing just long enough to take one photo..Apologies for the quality of the photo but he did not want to disturb the resident wildlife. This entry was posted in Uncategorized and tagged roost visit, soprano pipisrelle. Bookmark the permalink.